Special thanks to Clarins Paris for sending these editorial samples. With summer arriving, one of the things you should be doing is going through your cosmetics case and cleaning it out. Get rid of the expired stuff, and change out some of your winter colors for fresh summer pieces. 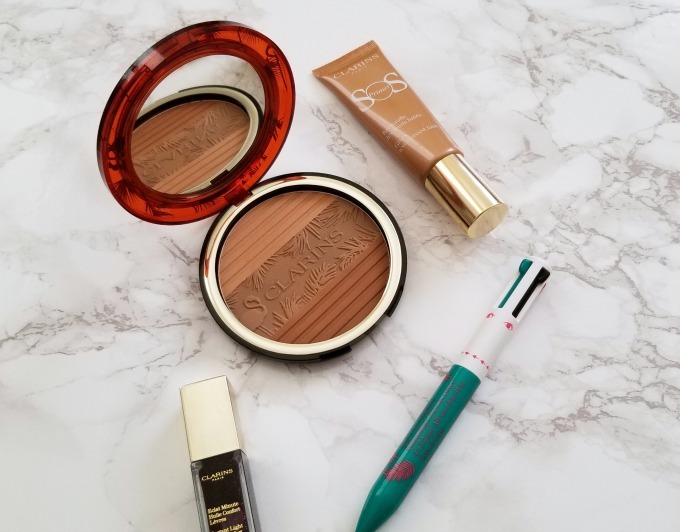 Our friends at Clarins sent over some of their great new items for summer for us to check out. Here’s a rundown of the items, and what we thought about the pieces. 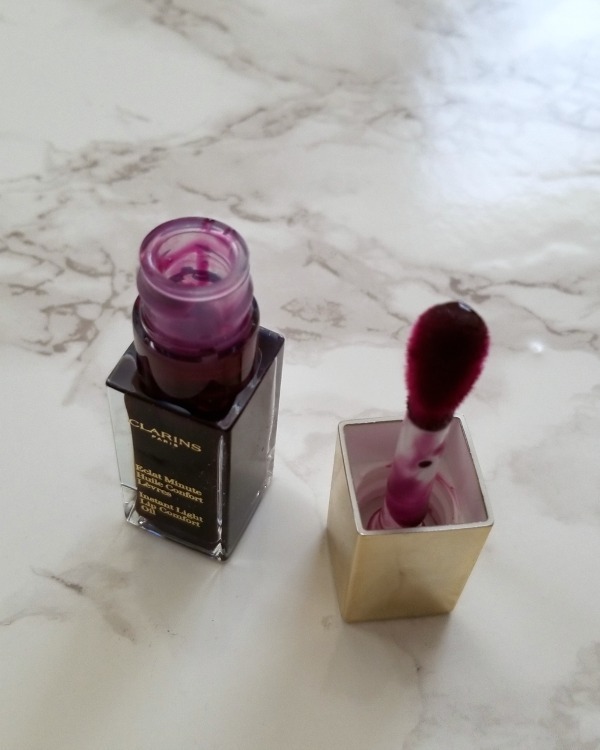 Instant Light Lip Comfort Oil – I’m going to go ahead and admit it – I don’t get lip oil. I just don’t. I’ve tried to like it, and it just…isn’t for me. However, this one is more like a sticky lip gloss. The sticky seemed to wear off after about 10 minutes, and just left thus amazing dark rose-sheer purple shade. And it smells like blackberries and cream, so that’s a total bonus. 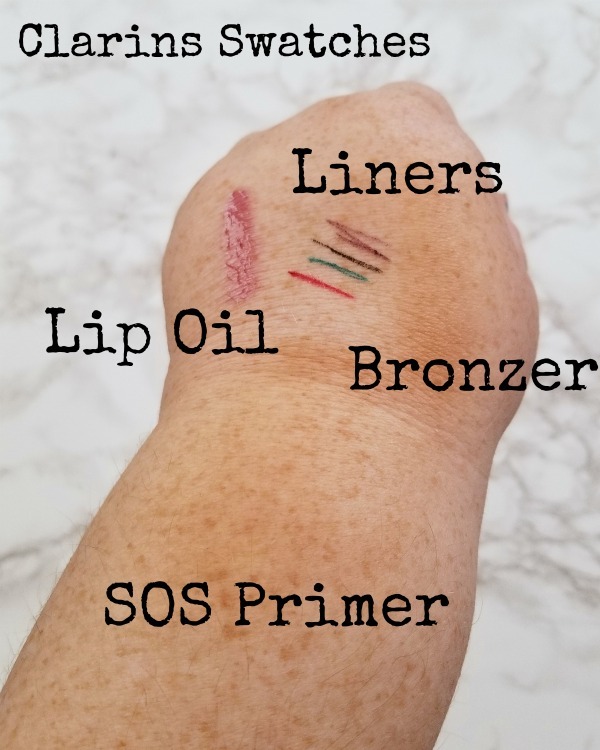 SOS Primer in Bronze – A primer is a great foundation layer. It helps even out your skin tone and helps the foundation to go on smoothly. 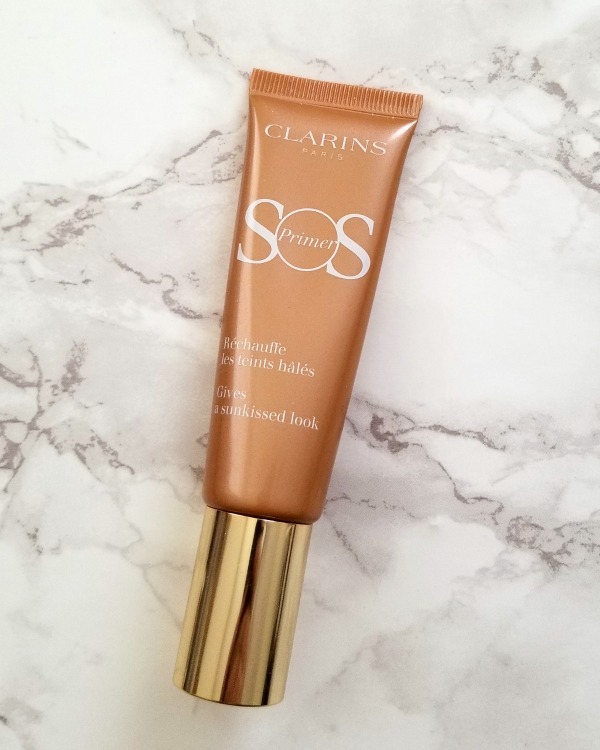 The Clarins SOS primer also helps fight free radicals and gives your skin an extra moisture boost. This shade helps to give your skin a sun kissed look. It even works for my pale skin, although it would be a little dark if I didn’t faux tan the rest of my body as well. 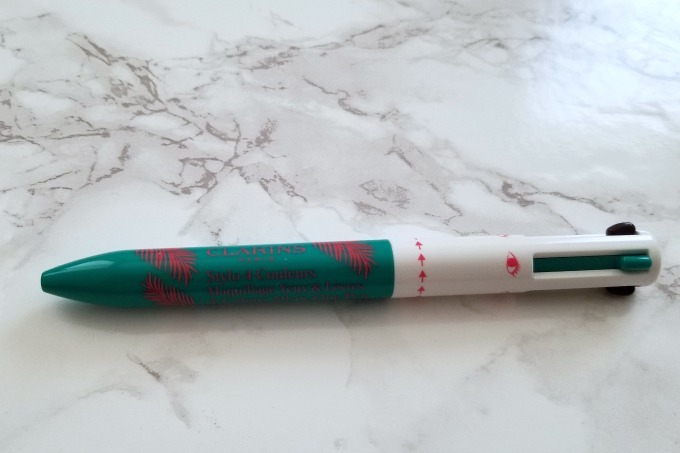 4 Colour All in One Pen for Eyes and Lips – Remember when you were a kid, and they had those pens that had the 4 or 10 colors and the push buttons to choose which color you wanted? 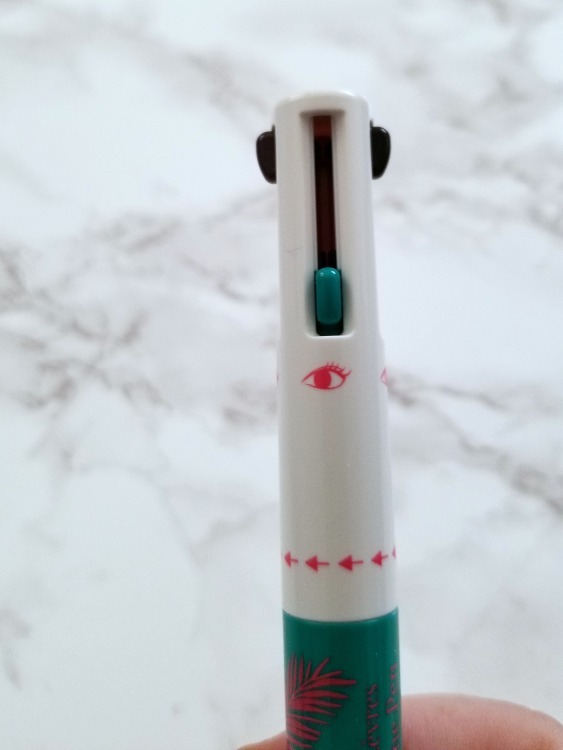 That’s been re-born with this eye and lip liner pen! It has three eye liner shades and a lip liner. Need to sharpen your pencil? No problem! Just twist the barrel. How fun is this? Limited Edition Bronzing Compact – A bronzer can be one of he most valuable pieces in your cosmetics wardrobe. Or it can be the worst. 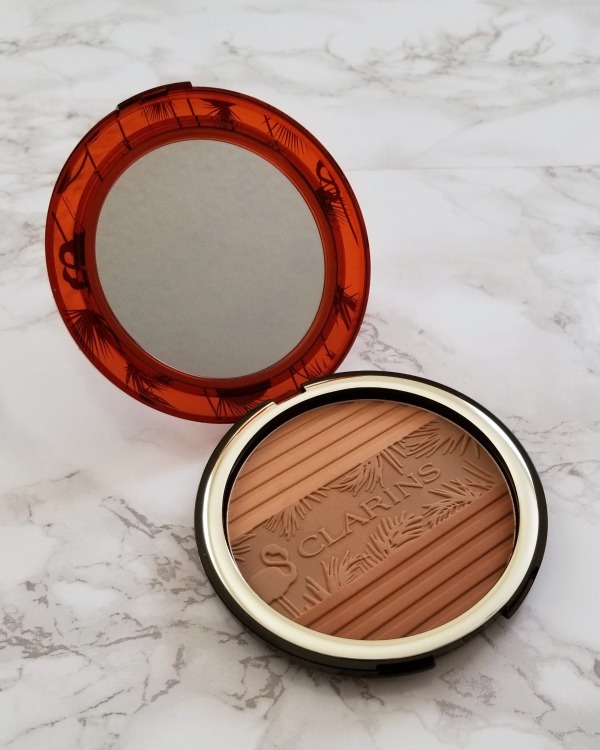 This Clarins Bronzer Compact is one of the good ones. The three shades that make up the compact help to create the perfect bronzer for your skin tone. It even works on my oh so fair complexion. And can we talk about the actual compact? The mirror is crystal clear with absolutely no distortion, and the other case has a super fun Pink Flamingo print. 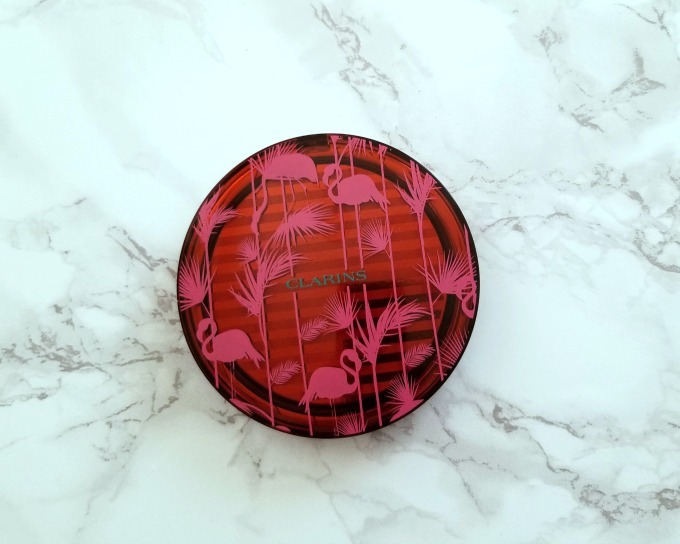 The tropical print also makes its way to the pressed bronzer itself. So fun! And the swatches. 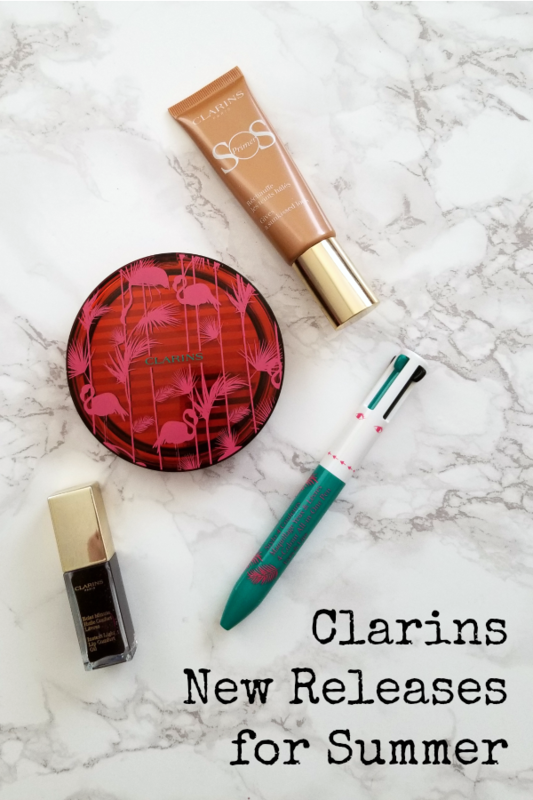 Clarins items are great quality to start with, and these are no different. 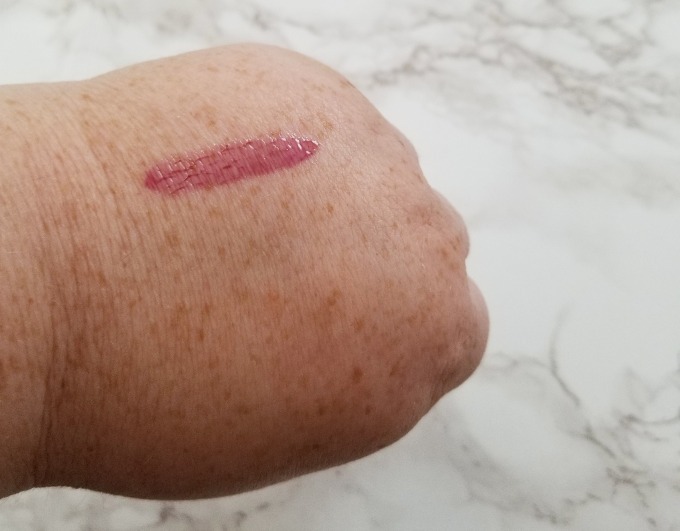 The liners have a super fine point, and the lip oil has a gorgeous color that stays. Do you have a favorite from the collection? Or something you’d love to get your hands on?